Kid reporter Brenna Sherman has Grigor Dimitrov playing defense in this unusual interview, which includes a dare. Grigor Dimitrov recounts his feelings in the closing stages of the 2017 Cincinnati final, where he won his first ATP World Tour Masters 1000 title, in this edition of My Story. Watch Grigor Dimitrov work his way through his various media obligations at the 2018 Rogers Cup. Grigor Dimitrov explains why he is not overthinking his early-season results, and how he is looking forward to the 2018 Rogers Cup. Watch as Grigor Dimitrov shares ice cream with fans and looks forward to his first-round match at Wimbledon. Q. It's not an easy period for you right now on the tour. Today you had the occasion to take the advantage, you couldn't really close it out. Is it a confidence issue or is it too easy to say that? GRIGOR DIMITROV: I don't know. It is what it is. I wish I knew more about it right now. I mean, I did everything I could to put myself in that position. I worked throughout the whole week so good. It's just a shame, simple as that. I don't know. First set, great first set. Even in the second, like, I felt good in the tiebreak. Just a few easy unforced errors. Yeah, at times my feet were not on the right place when I was hitting the ball. I was losing those very important points. I think that was the difference. 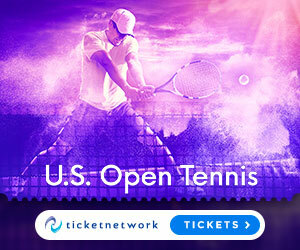 Watch highlights of the Fever-Tree Championships on Thursday, featuring Novak Djokovic versus Grigor Dimitrov and Nick Kyrgios versus Kyle Edmund at The Queen's Club. 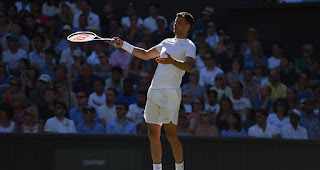 Damir Dzumhur slides a little too far against Grigor Dimitrov at the Fever-Tree Championships in London. Watch as Damir Dzumhur pulls Grigor Dimitrov off the court and soaks up the pace of a powerful forehand from the Bulgarian to earn Hot Shot honours at the Fever-Tree Championships. Grigor Dimitrov explains why this is a critical part of the ATP World Tour season ahead of the Fever-Tree Championships. Mohamed Safwat entered the French Open main draw as a lucky loser when Viktor Troicki suffered a back injury and withdrew from the tournament opener on Philippe Chatrier Court against fourth-seeded Grigor Dimitrov. He had never played a Grand Slam match before Sunday and his form is so modest that he has just one top-level win to his name all year. 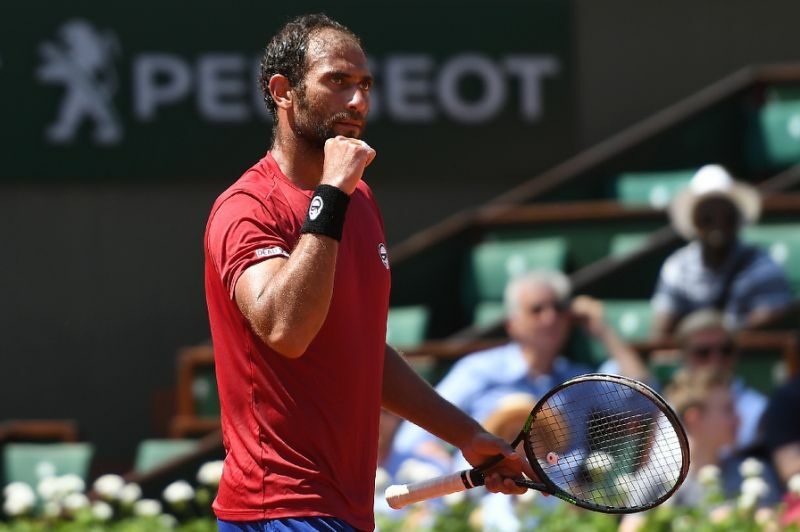 "I found out I would play at 10:00, like one hour before the match," said world number 182 Safwat who had been knocked out of the tournament when he lost in the last round of qualifying to Guido Andreozzi of Argentina. "They told me, Do you know the news? They said I might go on court at 11:00. I said, okay. Watch Grigor Dimitrov show his racquet skills with a dazzling backhand passing shot against Pablo Carreno Busta at the Barcelona Open Banc Sabadell on Friday. 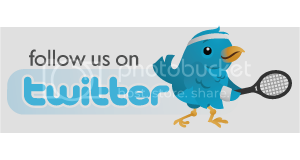 Photo Credit: Barcelona Open Banc Sabadell. Watch as Grigor Dimitrov perfectly times a backhand half volley to end a thrilling 28-shot rally against Gilles Simon at the Barcelona Open Banc Sabadell. Grigor Dimitrov, who resides in Monte-Carlo, discusses the advantages of playing the Monte-Carlo Rolex Masters at home. 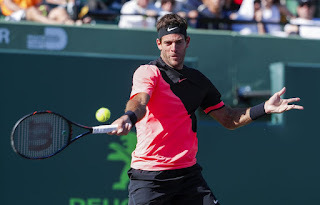 Watch highlights of Sunday's play at the Miami Open including Juan Martin Del Potro versus Kei Nishikori, Marin Cilic versus Vasek Pospisil and Jeremy Chardy versus Grigor Dimitrov. Photo Credit: Peter Staples/Miami Open. Marin Cilic survived a tough examination by Vasek Pospisil to reach the fourth round of the Miami Open with a 7-5 7-6(4) victory after nearly two hours on Sunday. But the tournament, with world number one Roger Federer already ousted, lost another highly-ranked player when Grigor Dimitrov, the third seed, was taken down 6-4 6-4 by Frenchman Jeremy Chardy. 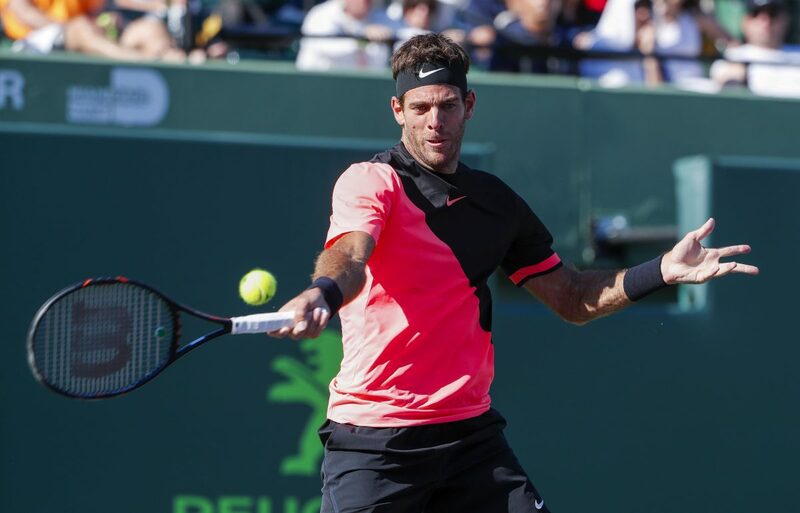 Juan Martin del Potro, the fifth seed, was more fortunate, winning his 13th consecutive match by defeating Kei Nishikori 6-2 6-2. The big-hitting Cilic fired six aces and saved all three break points he faced against Pospisil, but the 77th-ranked Canadian made it more difficult than the Croat probably expected. The struggle was real for Grigor Dimitrov on Satuday as he lost his BNP Paribas Open second round match (and his racquet) to Fernando Verdasco. Fernando Verdasco delivered the upset of Day 4, ousting world No. 4 Grigor Dimitrov. Check out other highlights from Saturday's action.